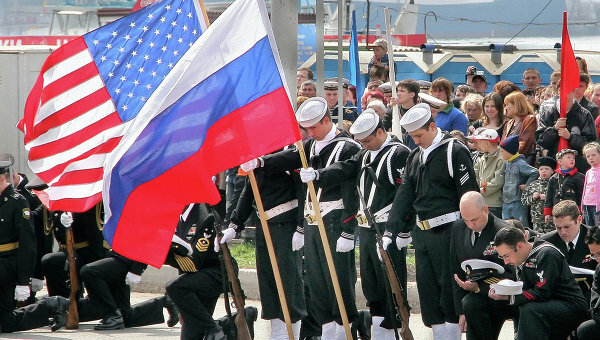 Why Does the U.S Demonize Russia so Much? Most of the officials in Washington don't understand the purpose of Russian-American cooperation, says a former employee of the CIA, now head the NGO Council for the National Interest, Philip Giraldi, in an article for The American Conservative. The expert, who visited Moscow recently for the first time in, was faced with the fact that ordinary Russians along with reporters consistently asked him the question: why is USA so hateful to Russia and why the American media cannot say anything good about them. Giraldi admitted that he in the end could not give a clear answer, although he tried to explain this political situation in Russia. Speaking about the current negativity in the address of Russia, Giraldi recognizes that in the American media, the government and many analytical institutions have a sufficient number of experts who will always consider Russia an enemy. "In addition, there are other, more insidious experts and officials who need the enemy to retain high-paying positions in government and other institutions, which depend largely on the well-being of the military-industrial-complex congressional" — says the analyst, adding that always and everywhere there will be militant patriots like senators John McCain and Lindsey Graham. The author specifically remembered the comment of Professor Peter Kuznica from an American University, who attended the conference, organized by RT International in Moscow, along with him. The American teacher told me that of all the disciplines of students in the U.S. the best academic record is in history, however, he conducted a survey among his students, and found that they did not know even the numbers killed in the Second world war. "They said that during the war 90 thousand Americans were killed — and made a mistake on 300 thousand. How many Soviet citizens died? Students responded that about 100 thousand, whereas in fact about 30 million were killed. Without knowing this figure, students are simply not able to understand what motivates Russia" — said the publication from the words of Professor Geraldo. The expert also wondered why so few people in Washington and the American media realize the necessity of good relations with Russia. "Russia has been a very useful partner in Syria, where she led the negotiations and eventually succeeded in destroying *chemical weapons by the Syrian regime in the beginning of 2014. Now she is one of those driving forces that is behind the negotiations aimed at a final settlement of the conflict. She has always been a reliable ally in the fight against terrorism, recognizing its vulnerability to IS (banned in Russia — ed.) and other Islamist groups," writes the author. The columnist stressed that Washington should be interested in establishing cooperation with Moscow, which is among the key interests of the United States. "This year he (Putin — ed.) openly stated that his country wants to cooperate with US. It is a proposal that those who truly care about the fate of the United States and the American people simply cannot ignore," added Geraldo. by Philip Giraldi — a former CIA officer, who now heads the NGO Council for the National Interest. Now, when relations between Washington and Moscow deteriorated significantly, can a simple conversation with the Russians give hope for the resumption of cooperation? I recently returned from Moscow, where I spent several days and spoke at the conference organized by the Russian international news broadcaster RT International. Russia, which was one of those major countries where I had never driven in before, gave me quite a pleasant surprise. Moscow was a modern and clean city, almost completely get rid of their gloomy remnants of the socialist past — in short, a "European" city in all senses. When my wife and I were driving into town from the airport, at some point we found ourselves on the waterfront of the Moscow river, and before us suddenly came into view the walls of the Kremlin with the Golden domes of its cathedrals, sinking in the last rays of the setting sun. It was a totally unforgettable picture similar to the one that appears before the eyes when you first see the Roman forum, recalling the description of Gibbon. I should say that we, the participants of the conference, were entertained as VIPs and a luxury gala dinner was even arranged for us, which was made by the Russian army Choir and Opera singer, who performed excerpts from "Polovtsian dances" of Borodin. They were joined by Mikhail Gorbachev and Sophie Shevardnadze, and to everyone's surprise the floor was taken by the President Vladimir Putin. The sponsors worked hard to create a favorable impression among those who had arrived in Moscow from 12 countries, and in this they undoubtedly succeeded due to its exceptional hospitality. Did we realise that we were being manipulated? Of course, but we took good care not to succumb to the propaganda. During my panel discussion, dubbed "Information, signals, policy: levers of influence in the modern world", Wikileaks founder Julian Assange even showed up, who spoke to us directly from Embassy of Ecuador in London. I stated that security and privacy can co-exist in most countries, however, this will require governments to use extra-legal tools that they have developed over the last 15 years during their "wars on terrorism", and create clear rules for the intervention in the private lives of citizens. For example, it is necessary to return to the old practice that existed in many countries, under which law enforcement agencies must first obtain the permission of the court, or its equivalent, in accordance with them to take specified measures, provided in certain circumstances. I added that the judge in this case should seek advice of the Ombudsman or non-governmental advisor, whose sole task is to ensure that it does not infringe on the civil liberties of citizens. I ended on a fairly pessimistic note, noting that, in my opinion, no American President will not be able to do the right thing, adding that President Barack Obama has refused to make reasonable adjustments to the provisions on surveillance and monitoring proposed during the past year. I should note that conference participants are in no way forced to stick to any line, and most of the important and unique information I have gathered from communicating with the Russians. Communicating with them was quite easy because, although I do not know Russian language, Russians have long been studying English in schools since the first grade and, unlike the Americans, they are very well aware of what is happening in the world. In life I talk with a lot of Russians abroad, so I braced myself again to repeat that in many respects they are very similar to what the Americans think of Americans: they are hardworking, friendly and a bit chatty. Conversations with the Russians quickly boil down to conversations about their children, the schools, about where they live and what life they would like. They will soon begin to show pictures of their children and pets. They are very religious, and the Russian Orthodox Church plays a leading role in their state. On the streets hang Christmas ornaments and garlands, the Church, destroyed in the Stalin era, successfully restored, and in red square there is a pretty lively Christmas fair. But occasionally through all of this shone the dark side. And ordinary Russians, and those who call themselves journalists and teachers consistently addressed the same topic: why so much USA hate towards Russia and why the American media cannot say anything good about Russia? I was not able to give plausible answers to these questions. I tried to say that Russia under President Vladimir Putin became more authoritarian that the media lost much of their freedom and that the systemic corruption of the Yeltsin era gave way to the new, less noticeable version of nepotism. As examples of the undeniable propaganda of the state I brought up Crimea and Ukraine, adding that Russia's arguments in many ways, were quite legitimate. I noted that, in my opinion, this crisis was triggered primarily by Washington, which wanted to change the regime in Kiev. As for the TV company RT International, in interviews with its representatives and journalists, I said that its reports are often not too reliable in dealing with Russia, because of the desire to stick to the official line of the government. They began to argue with me. However, no participant failed to answer this question, and, I think, I don't have a clear answer. President Vladimir Putin has many critics inside Russia, however, he enjoys great popularity and is considered to be a true nationalist of the old school that, from the point of view of most Russians, means that he actually acts in the interests of Russia. This made him a rather attractive figure on the international stage. A recent United Kingdom poll showed that four out of five Britons would vote for Putin rather than for their own Prime Minister David Cameron (David Cameron), if they had this choice. I wonder what results would a similar poll in the U.S. now that Americans are increasingly disappointed with the Obama administration, which rather adheres to ideas of globalism than of nationalism. Moreover, in foreign policy, it ignores a lot of the true U.S. national interests, instead relying on symbolic gestures together with a strange desire to constantly agitate for the creation of new democracies. As for the negativity in the address of Russia, as you all know, in the media and the government, as well as in a huge variety of analytical institutions, there are a lot of experts of old age, who will always consider Russia an enemy. In addition, there are other, more insidious experts and officials who need the enemy to retain high-paying positions in government and other institutions, which depend largely on the well-being of the military-industrial-complex congressional. In addition, always and everywhere there are militant patriots like senators John McCain and Lindsey Graham. But all this does not explain why so few people in the American media and Washington understand that a good relationship with Russia is necessary — and not only because Moscow is able to destroy the United States if it were to be cornered, giving a good reason also. Russia has proven to be a very useful partner in Syria, where they managed the negotiations and, ultimately, achieved the *destruction of chemical weapons by the Syrian regime in the beginning of 2014. Now she is one of those driving forces that are behind the negotiations aimed at a final settlement of the conflict. She was always a reliable ally in the fight against terrorism, recognizing their vulnerability to ISIL and other Islamist groups. The fact that the Russian leaders do this within its borders, in fact, generally does not affect the interests of America, but for some reason the cart is constantly put before the horse, which is already common practice in American media. Others, like me, were dissatisfied with the amount of negative information about Russia. They shared their thoughts about why Americans don't understand them. A European joke is that the acronym USA can be deciphered as the United States of Amnesia in the sense that world events are subject to artificially imposition by the 24-7 news cycle, before you finally sink into Oblivion. Professor Peter Kuznick, from an American University, noted that students in the US have low scores in natural Sciences and mathematics, however, the area in which they have the lowest rates — this is the story. Among his best students, he conducted a survey on the topic of the Second world war, during which he asked them how many Americans died in this conflict. They replied that during the war killed 90 thousand Americans — and made a mistake on 300 thousand. How many Soviet citizens died? Students responded that about 100 thousand, whereas in fact they killed about 30 million. Without knowing this figure, students are simply not able to understand what motivates Russia. Kuznik noted that the September 11th attacks killed 3 thousand Americans. To assess the extent of losses of the Soviet Union in world war II, try to imagine that the September 11 attacks occur every day for 24 years. The Syrian crisis represents an opportunity to undertake a real "reset" of relations between the U.S. and Russia. Politicians and experts from both countries do not understand each other... Sustainable progress can only exist in a stable world, not in terms of fomenting unrest in the countries of Egypt, Iraq, Libya and to Syria in the hope that after these riots will be democracy... the mastermind of the U.S. policy of the cold war, George Kennan (George Kennan) warned at the end of his life, in 1998, that the policy of NATO expansion to the East, bill Clinton may to lead to war... Certainly, Putin has never sought to seize Ukraine or even the Donbass. Putin's actions signaled that the status quo around the continuing expansion of NATO has to change. Donbass became his leverage. Putin — a staunch nationalist, but he's not mindlessly balloons Russian revanchism on the contrary, he tries gently to dose the flames. 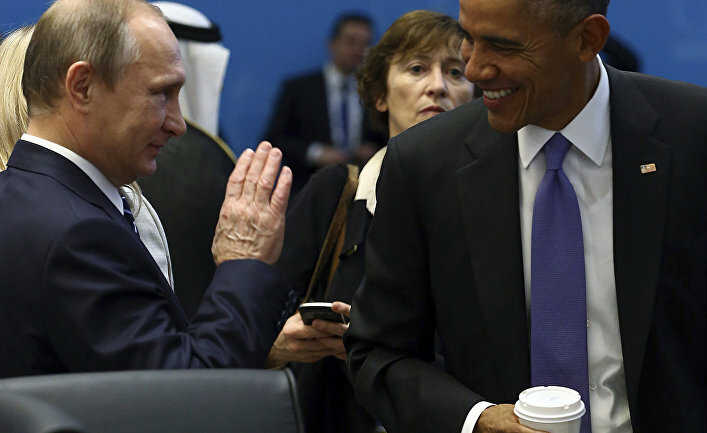 Putin wants partnerships with the West, but does not want to be in the position of supplicant. USA and Russia will not be able to soon find a compromise. However, they can pursue common goals in the Syrian crisis and in the fight against ISIL, which over time can lead to the elimination of their differences. One Doesn't have to love Mother Russia or Vladimir Putin, to understand that cooperation with Moscow on the basis of common goals is in the interests of Washington. Ukraine, which is as corrupt as Russia — if not more — is not among the key interests of the United States, while cooperation with Russia is one of them. Crisis provoked regime change in Ukraine, which was prepared by the US, not Putin. Putin has asked several times for the beginning of a dialogue with Washington and for them to respect Moscow — I agree that it is a reasonable request. This year, he said his country wants to cooperate with US. It is a proposal that those who truly care about the fate of the United States and the American people simply can't ignore.